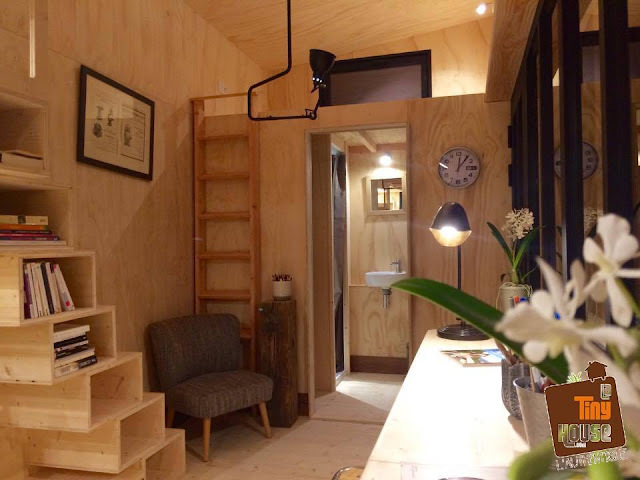 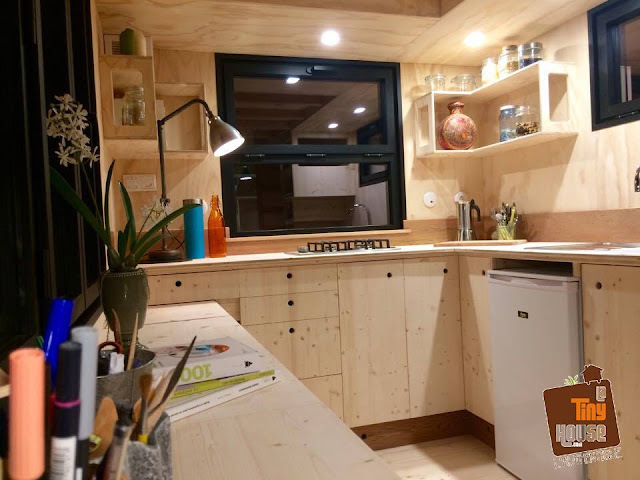 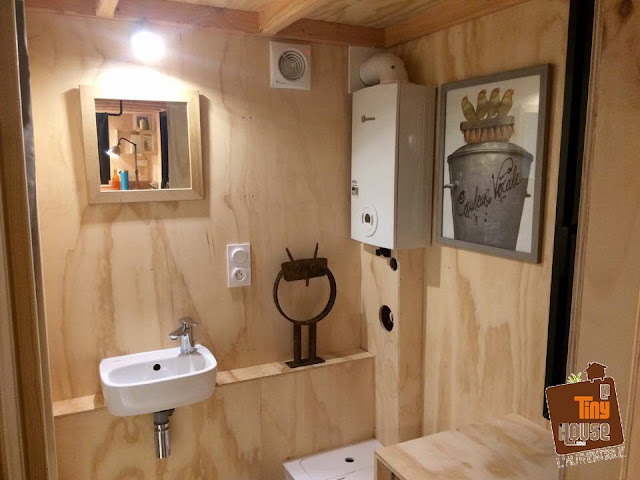 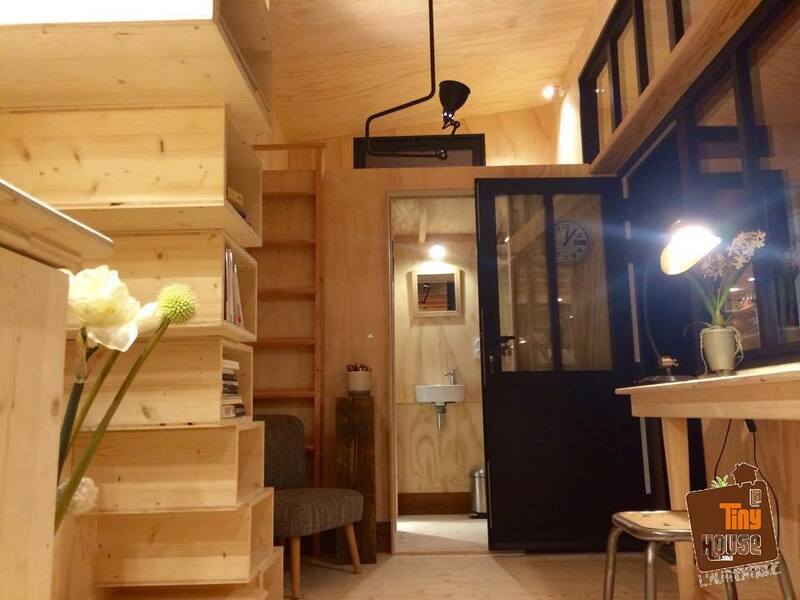 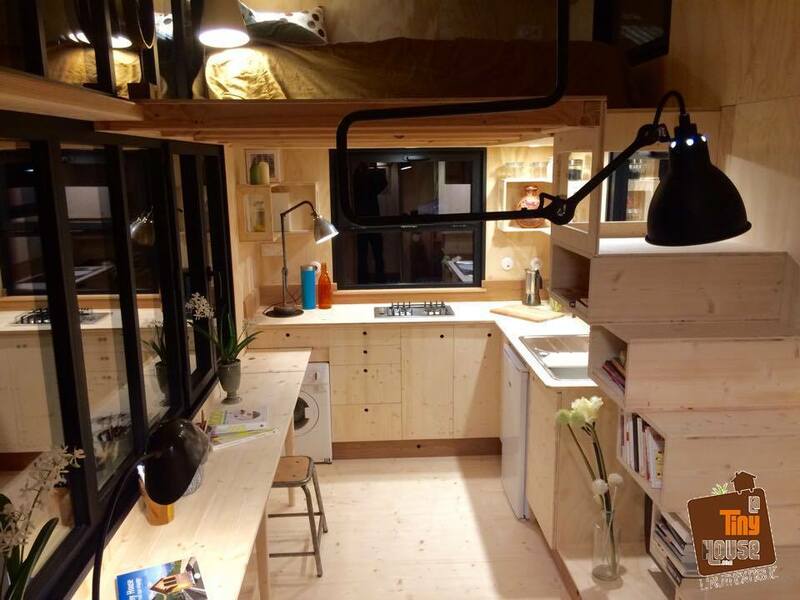 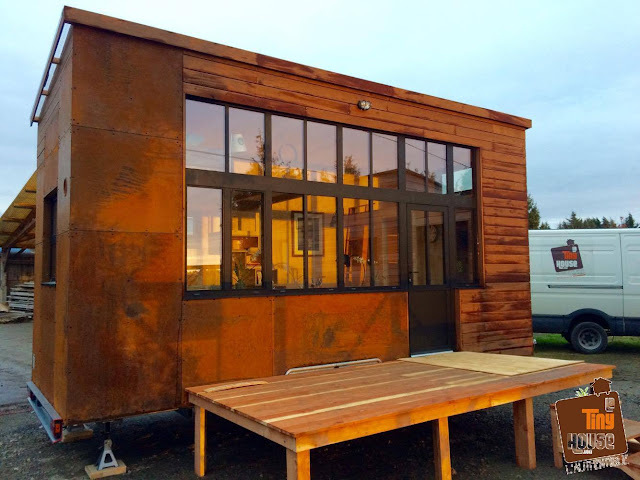 A pretty cool contemporary tiny home from French builder, La Tiny House! 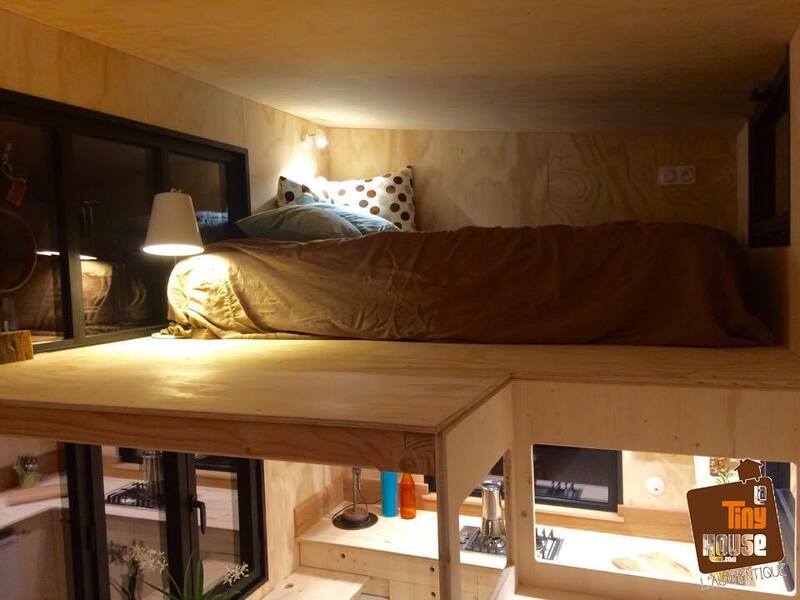 Named the "Appalache", the home measures 6.3 meters long (almost 21 ft). 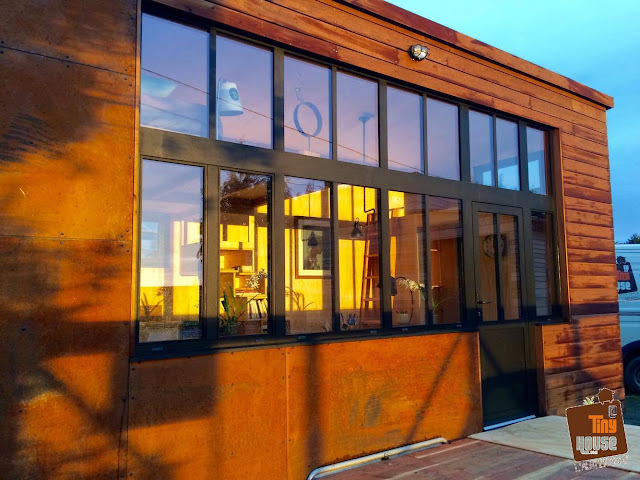 Its exterior features a one-of-a-kind rusted look with a large window space. Inside the home is a full kitchen, living room, bathroom, and a fairly spacious loft bedroom. There's also a fairly spacious desk and dining space that runs along the home's main window!